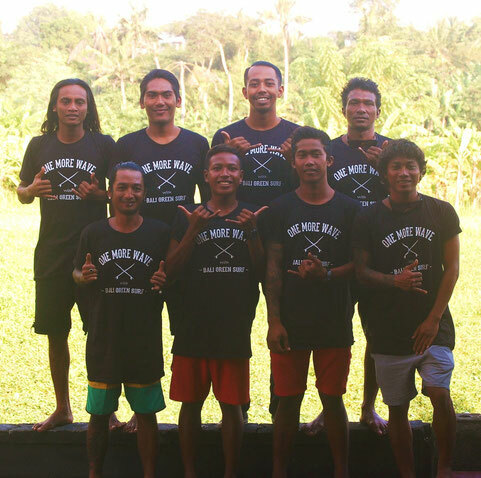 We are Bali Green Surf School, passionate Balinese locals and surf guides with three big aims: to arouse passion for surfing, to help the orphaned children in Bali and last but not least to keep Bali green and natural. Our surf school is located in Bali, Seminyak, just a short walk from the famous 66 beach. We offer beginner, intermediate and advanced surf guiding, both available as group or private lessons. Furthermore, we offer special guiding for kids and also surf trips around Bali. According to your surf level we will take you to different surf spots and teach you new techniques and skills. That way we make sure that you will have an unforgettable surf experience learning to surf in Bali. Besides surfing, we also started a program to give back to the community by donating part of our profits, we help homeless and orphaned children by providing them with better living conditions, food, clothes, toys and school supplies. Every Sunday, we organize a variety of activities for the children, such as surf lessons, study help and beach clean ups to educate them how to keep Bali clean and green. Furthermore, we try to create awareness and collect donations for the orphanages by organizing events such as parties, surf contests or beach games. 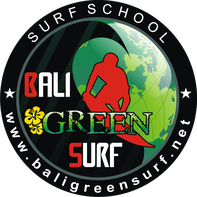 The name Bali Green Surf School is based on our third aim to keep Bali green. We try to live our passion without destroying our nature. No nature, no surf! If you want to learn how to surf, get to know our beautiful island or support us by taking part in our charity feel free to contact us!